How do I change the beneficiary(s) for my policy? How do I switch to the Automatic Payment Plan? Can I pay my policy by EFT (Electronic Funds Transfer)? How do I change my premium payment frequency? How do I change a name due to marriage, divorce, correction, etc.? How do I correct the birth date of an insured? How do I change my policy to Reduced Paid Up (RPU)? How do I change my policy to Extended Term Insurance (ETI)? How do I make an annuity withdrawal? How do I take out a loan on my policy? How do I surrender or cancel my policy? How do I apply for reinstatement of my policy? How do I file a life insurance claim if I have lost my original policy? How do I assign my benefits to a third party such as a funeral home? How do I determine who is the Insured's next of kin? What do I do if all of the beneficiaries on a policy are deceased and no estate has been established? What do the codes mean on my agent statement? How do I get appointed with Central Security or Western American? In what states is Central Security licensed? Why is Western American only licensed in Texas? 1.1. Q: How do I change the beneficiary(s) for my policy? A: Please complete our beneficiary change form and return it to the Policyholder Service Department at our mailing address. 1.2. Q: How do I switch to the Automatic Payment Plan? A: Please complete our automatic payment plan form and return it to the Policyholder Service Department at our mailing address. 1.3. Q: Can I pay my policy by EFT (Electronic Funds Transfer)? A: Yes. Please complete our Automatic Payment Plan form and return it to the Policyholder Service Department at our mailing address. 1.4. Q: How do I change my premium payment frequency? A: Please complete our Change Mode of Premium Payment form and return it to the Policyholder Service Department at our mailing address. 1.5. Q: How do I change a name due to marriage, divorce, correction, etc.? A: Please complete our Change of Name form and return it to the Policyholder Service Department at our mailing address. 1.6. Q: How do I correct the birth date of an insured? A: Please complete our Change of Age form and return it to the Policyholder Service Department at our mailing address. 1.7. Q: How do I change my policy to Reduced Paid Up (RPU)? A: Please complete our Change To RPU form and return it to the Policyholder Service Department at our mailing address. 1.8. Q: How do I change my policy to Extended Term Insurance (ETI)? A: Please complete our Change to ETI form and return it to the Policyholder Service Department at our mailing address. 1.9. Q: How do I make an annuity withdrawal? A: Please complete our Annuity Withdrawal Request form and return it to the Policyholder Service Department at our mailing address. 1.10. Q: How do I take out a loan on my policy? A: Please complete our Policy Loan Request form and return it to the Policyholder Service Department at our mailing address. 1.11. Q: How do I surrender or cancel my policy? A: Please complete our Policy Surrender and Cancellation Request form and return it to the Policyholder Service Department at our mailing address. 1.12. Q: How do I find an agent? A: Find an agent or broker by contacting our Customer Service Department. 1.13. Q: How do I apply for reinstatement of my policy? A: To apply for reinstatement of your policy, please complete our Reinstatement Application and return it with a check or money order for your late premiums to the Policyholder Service Department at our mailing address. 2.1. Q: How do I file a life insurance claim? A: Please complete our Life Insurance Claim Form and return it with the life insurance policy and a certified copy of the death certificate to the Life Insurance Claim Department at our mailing address. 2.2. Q: How do I file a life insurance claim if I have lost my original policy? A: In addition to completing the Life Insurance Claim Form, you will also need to complete a Lost Policy Affidavit. Return the completed forms with a certified copy of the death certificate to the Life Insurance Claim Department at our mailing address. 2.3. Q: How do I assign my benefits to a third party such as a funeral home? A: Please use the assignment form provided by the assignee (funeral home). If you have multiple claimants (beneficiaries), please use our Explanation of Assignment form to make sure your intentions are clear. Assignment forms are not standardized. Our form helps clear up any confusion when there are multiple claimants each assigning a portion or all of their benefits. 2.4. Q: How do I check the status of a claim? A: By writing or calling our Claim Department. 2.5. Q: How do I determine who is the Insured's next of kin? A: Next of kin is determined in the following order: Spouse, Children, Grandchildren, Parents, Siblings, Grandparents, Aunts and Uncles. 2.6. 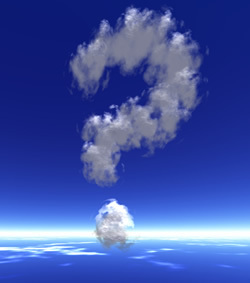 Q: What do I do if all of the beneficiaries on a policy are deceased and no estate has been established? A: Send a copy of proof of death for the deceased beneficiary and have the affidavit of heirship form completed by the Insured’s next of kin (see 2.5 for definition of "next of kin"). 3.1. Q: What do the codes mean on my agent statement? A: Check out our How to Read Your Agent Statement section at AgentWeb. 3.2. Q: How do I get appointed with Central Security or Western American? A: Contact Jim Lewis, our Director of Marketing. 3.3. Q: In what states is Central Security licensed? A: CSLIC is licensed to do business in all states except: California, Connecticut, Hawaii, Iowa, Maine, Minnesota, New Hampshire, New York, Pennsylvania, Rhode Island, Vermont, Washington and Wisconsin. 3.4. Q: Why is Western American only licensed in Texas? A: Western American Life Insurance Company holds a special charter that is only available in Texas.